The American Quarter Horse Association Alliance Program began in 1999 as a way to bring the American Quarter Horse lifestyle to millions of horse riders, owners and enthusiasts through relationships with associations that feature horse activities and competitions. Since the majority of the horses you see here today are American Quarter Horses, NRCHA and AQHA formed an Alliance Partnership to help each other to promote both exceptional reined cow horse events like this and the versatility of the American Quarter Horse. The partnership means that American Quarter Horses are recognized as the foundation breed that provides the bloodlines for the many of the horses used in today's competition, while the NRCHA is the authority for reined cow horses around the world. AQHA tips its hat to NRCHA and its members for the great job it does in promoting equestrian activities and the American Quarter Horse. For more information about other AQHA alliance partners visit www.aqha.com. Bloomer Trailers and Schwalbe Trucks, presented by Great West Trailers, is an NRCHA Corporate Partner and Bloomer is the “Official Horse Trailer” of the NRCHA. Bloomer Trailers has raised the bar in the horse trailer industry. “If you can dream it, we can build it,” is the company slogan. Bloomer offers the highest quality standards of any trailer manufacturer and backs it up with a 10 year structural warranty. For information, see your local Bloomer Trailer dealer or visit www.bloomertrailers.com. Bob's Custom Saddles of Scottsdale, Arizona, is the Official Saddle Maker of the NRCHA. Bob's Custom Saddles makes stock and custom saddles for every discipline in the western industry. Bob's trophy saddles have been a big part of the National Reined Cow Horse Association for many years and are endorsed by NRCHA top trainers. Boehringer Ingelheim Vetmedica, Inc., the makers of Surpass, remind you that advanced technology isn't just for smart phones. Ask your veterinarian how SURPASS WISDOM™ technology can work in your joint health management program. Boehringer Ingelheim Vetmedica Inc.'s Hyvisc®, is veterinarians' number one preferred hyaluronic acid. Speak with your veterinarian about how HYVISC can fit into your joint health management program. Wear Cinch to Win! It's the official Clothing of the NRCHA! Lead..don't follow and wear the choice of champions - Cinch Jeans and shirts. When performance counts, the members of the NRCHA turn to Cinch Jeans. Cinch is the brand of choice for some of the world's best horse trainers like Bob Avila, Teddy Robinson and Todd Bergen. Why? Because Cinch jeans offer the kind of fit and comfort that allow riders to focus on the work at hand. Plus Cinch jeans and shirts always look good. You'll find Cinch jeans and shirts at your favorite Western store or catalog. Or log onto our website to find the retailer nearest you. "Cinch up" with Cinch jeans and shirts. Wear the choice of champions. Team up with Classic Equine and PLAY TO WIN! Classic Equine is fast becoming standard equipment of performance champions. Just ask the professionals. Serious competitors care about their horse's health and soundness. Classic Equine offers a variety of innovative and protective products including saddle pads, cinches, support boots and bell boots. All products are manufactured to the highest standards for quality and value. After all, the creation of a product line that satisfies the serious competitor's high expectations of performance is what Classic Equine is all about. With input from the many of today's leading riders, each product is designed and tested for function, fit, durability and value. That is why when it comes to the horse's protection and comfort for training and competition, champions prefer Classic Equine. For more information visit our web site or call 1-800-654-7864. Gist Silversmiths, headquartered in Placerville, California, places great emphasis on the details required to craft an outstanding award buckle, always striving to ensure that the design and quality of each piece will make it a treasured heirloom. The company sets the benchmark of quality in western silversmithing and Gist buckles are designed exclusively for customers seeking a unique piece of fine jewelry crafted in the finest of precious metals. For information on Gist Silversmiths visit the web site at www.gistsilversmiths.com. The John Deere Company, founded in 1837 has grown from a one-man blacksmith shop into a corporation that does business around the world and employs approximately 52,000 people. The company continues to be guided, as it has been people. The company continues to be guided, as it has been since its beginning, by the core values exhibited by its founder: integrity, quality, commitment and innovation and it is the world's leading manufacturer of farm equipment. The company offers a complete line of farming services and solutions with products primarily sold and serviced through the industry's premier dealer network. For information visit www.deere.com. Are you ready to buy insurance to protect the time and money you've invested in your horse? Then visit Markel's website and click on the blue ribbon to purchase mortality insurance 24-hours a day! As the official equine insurance company for the NRHCA, Markel has provided uninterrupted coverage for horses and horse-related risks for over four decades. Sharing your passion for horses and committed to the horse industry, Markel is an experienced company whose associates are horse people first and insurance people second. Their insurance products focus on protecting your horses, home, barn, tack and equipment. Whether you have one horse or an entire stable, board or train horses, Markel can fully protect you. Nutrena® manufactures and markets one of the world's most comprehensive lines of equine nutritional products, including Vitality, Life Design, Empower and FARR. As part of the world's largest equine nutrition company, Nutrena® offers advanced nutrition technology, unmatched resources and decades of experience to its customers. Nutrena® has been providing premier products and services to consumers throughout North America since 1920 and is proud to be the Official Equine Feed of AQHA, an AAEP Educational Partner as well as the Official Feed of the NRCHA. 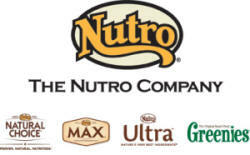 The Nutro Company is a leading manufacturer of natural pet food products sold exclusively at pet specialty stores. The company has been making premium pet food for more than 80 years and is dedicated to quality, excellence and innovation in dog and cat nutrition offering healthful formulas for every pet's life stage, activity level and size. The Nutro Company's family of brands includes MAX dog and cat food, NATURAL CHOICE dog and cat food, and ULTRA food for dogs in addition to the GREENIES brands, which include the #1 veterinary-recommended pet specialty dental chews, and PILL POCKETS and JOINT CARE treats. For more information, please visit www.thenutrocompany.com and www.greenies.com. News Leader for the Performance Horse Industry! Quarter Horse News is one of the most visible information vehicles in the horse world. For more information, visit the Web site at www.quarterhorsenews.com. Platinum Performance is the Official Nutritional Supplement of the NRCHA! Platinum Performance, Inc. is the manufacturer of Platinum Performance Equine Wellness and Performance formula, a comprehensive supplement rich in Omega-3 fatty acids, bioavailable trace minerals, amino acids and joint protective anti-inflammatory nutrients. This formula is designed to support the immune system, joints, bones, muscles, and provide sustained energy and enhanced performance. It is excellent for performance horses of all ages, broodmares, stallions and foals. Platinum Performance nutritional supplements were originally developed to decrease rehabilitation time after orthopedic surgeries, to speed bone growth and tissue healing, and reduce swelling complications. For more information, visit Platinum Performance at their website. San Juan Ranch, a Division of Santa Cruz Animal Health is rapidly becoming an industry leader in the distribution and development of Veterinary and Animal Health Care Products. The Company offers a wide range of products for the optimal care of performance horses, livestock and companion animals. The Animal Health product line includes a comprehensive, high-quality, affordable line of UltraCruz Animal Health Supplements for horses, dogs and cats. This is an exciting new product line developed by our team of experts and is used daily by the San Juan Ranch. Veterinary Prescription Drugs for a broad range of clinical applications, including antibiotics, anti-fungals, critical care, reproduction and neonatal products, are also available. San Juan Ranch is a top breeder of Performance Horses and Gelbvieh Cattle. In 2010 Stylish Little Oak was the NRCHA Open Futurity Champion. She was bred and shown by the San Juan Ranch. Santa Cruz Biotechnology, Inc., the parent company, is a world leader in the development of products for the biomedical research market. Over the past twenty years, the company has focused on the ongoing development of research antibodies, biochemicals, labware and has recently expanded into animal health care products. The Company's strength derives both from its large well-established team of Research Scientists, as well as its extensive livestock experience, through its San Juan Ranch Division. The Silver Legacy is a National Reined Cow Horse Association Host Hotel. The Silver Legacy Resort Casino in Reno, Nevada, combines Nevada's turn-of-the-century silver mining heritage with state-of-the-art architecture and unrivaled entertainment theming. Encompassing over two blocks in the heart of downtown Reno, Silver Legacy features 1,720 guest rooms and suites. With dark woods, marble floors and rich vibrant carpeting, the elegant and refined Resort Casino has six uniquely themed restaurants. Silver Legacy showcases the world's largest composite dome, measuring 180 feet in diameter. The interior of the dome, an astounding 75,000 square feet, reflects the dramatic skies of Reno, and depicts the entire day from sunrise to sunset. The indoor sky is one of the largest indoor murals ever painted. For information, visit our website or call (800) 687-7733.